What is Yacon Syrup and how can it benefit me? 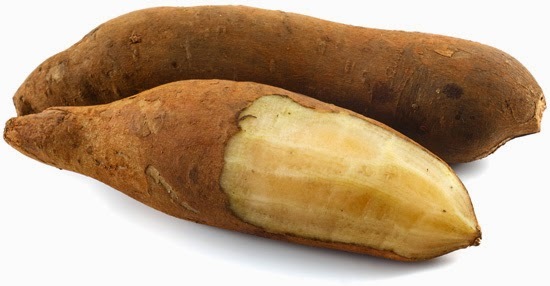 Yacon syrup is made from the yacon root, which looks similar to a sweet potato. The juice of the root is extracted and made into a sweet tasting syrup. It tastes very similar to molasses, and is so easy to eat by the spoonful! Yacon syrup is not easily digestible, so it contains about 1/2 the calories of sugar (about 10-12 calories per teaspoon). I have been taking two teaspoons a day. I haven't used it yet in any beverage but I am wondering if I should try using it in water kefir. Water kefir LOVES molasses and all its mineral rich goodness, and this reminds me a lot of it so I will have to try it out. Best when paired with dark greens: watercress, arugula or kale. I love my family, and my pets. I actually love all animals -- they are much nicer than most humans! I don't watch TV and haven't watched a movie in the theater for more than 9 months. I would much rather read a book! Win a 26-Week Subscription to Meals By The Week! Do The Foot Pads Turn Dark Because of Sweat?